Last Time We did 1450 i.e (145) To 3350 i.e 335+ thats was my second LongTerm Target. At 270 Also alerted that sbin can test 200 level. you can check here. 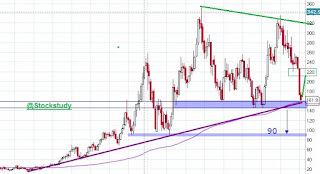 Currently SBI Trading Near 15 Long Term Trendline Support. In monthly 200EMA also 157. 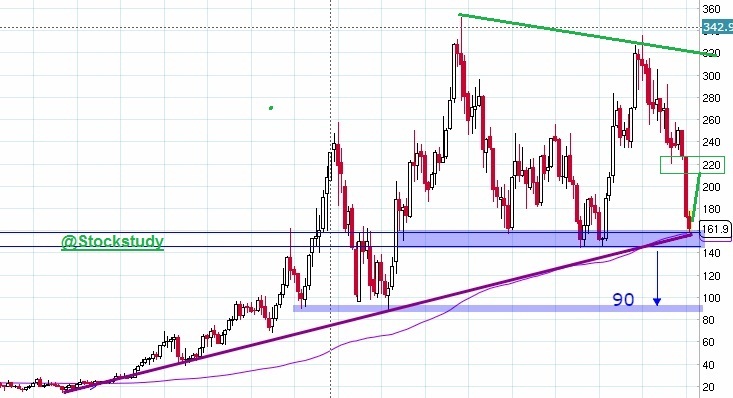 157-145 is very good support zone for a Stock. Holding a145 can give bounce till 215 & above 222 again 300++ possible. Closing Below Monthly basis below 144 we can see very lower level 90/70/44 and more. Trust on Level , Play with Level.